Use this guide to see the multiple ways to set up XBMC Chromecast. 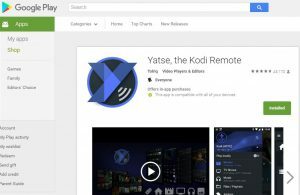 In this article, we’ll show you in detail the easiest two methods: 1) Using Google Cast to cast movies to Chromecast, and 2) Using Yatse to cast to your Chromecast. We also cover alternative methods to set up Kodi on Chromecast / XBMC on Chromecast. Basically, you’ll need a PC to cast content from XBMC to Chromecast and some free software that can be downloaded using links below. 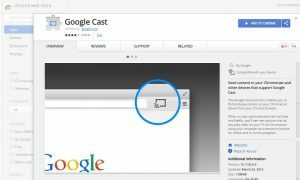 After Google Chrome is installed, download the Google Cast Extension. Download the standard version – don’t download the Beta version. With your mouse, click the little icon of the arrow that’s on the right-hand side of the pop-up (dialog) box. Choose your Chromecast. You should see it in a list under “Beta”. When you see a pop-up box that asks for a Google Cast Screen-Sharing Request. Select Yes when you see this. The pop-up box should show up in the bottom-most area of your screen. It’ll tell you that Google Cast will now be sharing your screen. Make sure the volume on your PC is low – you don’t want to blow your speakers! Launch XBMC Gotham / Kodi Gotham and stream on! We can use Yatse to Cast Videos from XBMC (Xbox Media Center) / Kodi to Chromecast! How does XBMC Chromecast with Yatse work? All of the video transcoding is done on the computer and is simply casted (or “streamed”) from XBMC to Yatse. It’s then sent from Yatse to Chromecast! You must purchase the $4.99 Yatse in-app purchase to cast from XBMC to Chromecast. Download the free Yatse app for Android. Purchase the $4.99 in-app purchase to enable streaming to chromecast. Use the Yatse app to play movies from XBMC to Chromecast! Note: The Yatse 4.0 update provided us the ability to cast from XBMC to Chromecast. See this article for more info. If you experience choppy playback using XBMC / Kodi, the most likely issue is a WiFi speed issue. Use Chromecast’s full screen option to cast from Kodi / XBMC to Chromecast. This gives the best playback. If anyone has issues where they hear sound but have a blank / black screen, try this: Go to System > Settings > System, then check the “Use fullscreen window” rather than true fullscreen. It’s possible you may have to change the Settings Level to Advanced in order to see this option. In your central living room, just use XBMC on an old laptop and keep it plugged into your TV / projector with an HDMI cable. Then you just use a wireless / wired mouse and/or keyboard. Chromecast itself is pretty great for watching Youtube videos and it does work well with [easyazon_link identifier=”B004Y1WCDE” locale=”US” tag=”arizonacaorg-20″]Plex[/easyazon_link]. Although XBMC is the best software for a home media center, hands-down. Using a PC is a great way to utilize XBMC. 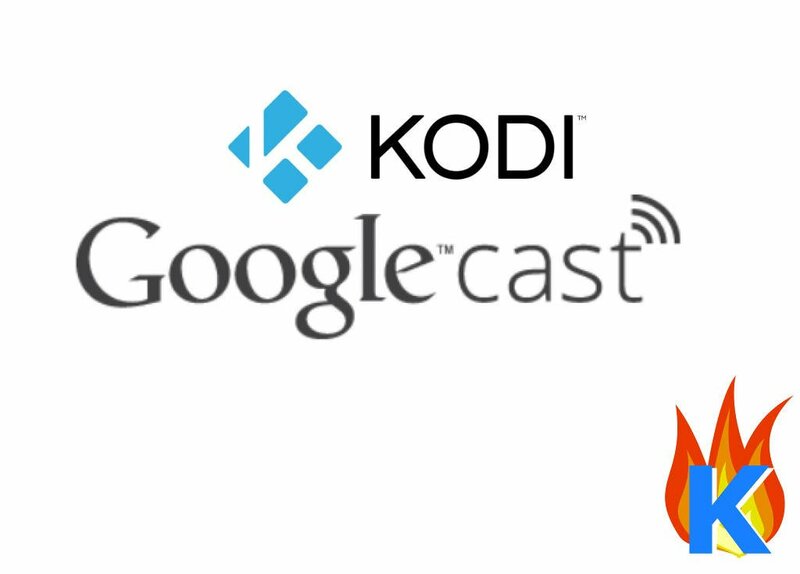 Just use an old or new HTPC to run Kodi / XBMC – then cast to your Chromecast using the processes on this page. Connect a wireless mouse and/or keyboard to your HTPC to have a nice “remote” setup!